This sweet and cute tank is a wardrobe essential. 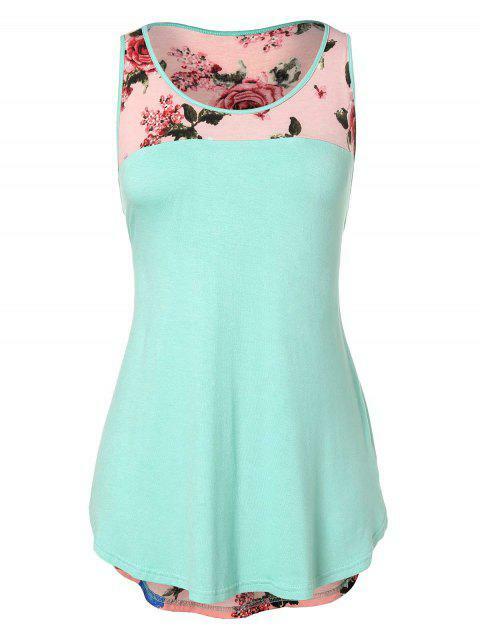 With a contrast hem, color block background with colorful floral print, round neck design. just styling it with jeans or denim shorts to complete the breezy and flirty look.